Adam Cole was born in Bethesda, MD on Earth in the year 2351. He was the oldest of nine children to a pair of Doctors who ran a private practice together in the town of Bethesda. Adam knew from an early age that he wanted to be a Doctor like his parents but his aspirations took him into space as a member of Starfleet and not as a Doctor on Earth. At the age of seventeen after completing high school Adam enrolled in Starfleet Academy's Medical School. 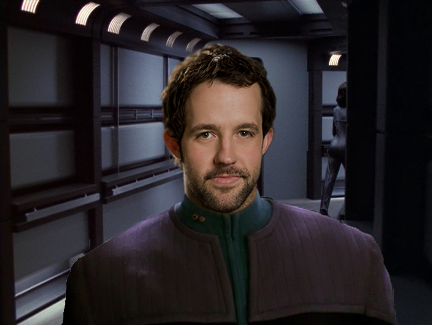 Adam graduated from the Medical Academy in 2377 in the top twenty percentile. After completing his post graduation leave he was assigned to the USS Barack Obama where he served for twenty three months before he was transferred to the Quirinal as part of Project Full Circle reuniting him with one of his younger brothers who will be completing the last year of his residency on the Quirinal.